This month we've been working on a very innovative project, integrating artwork into our construction. 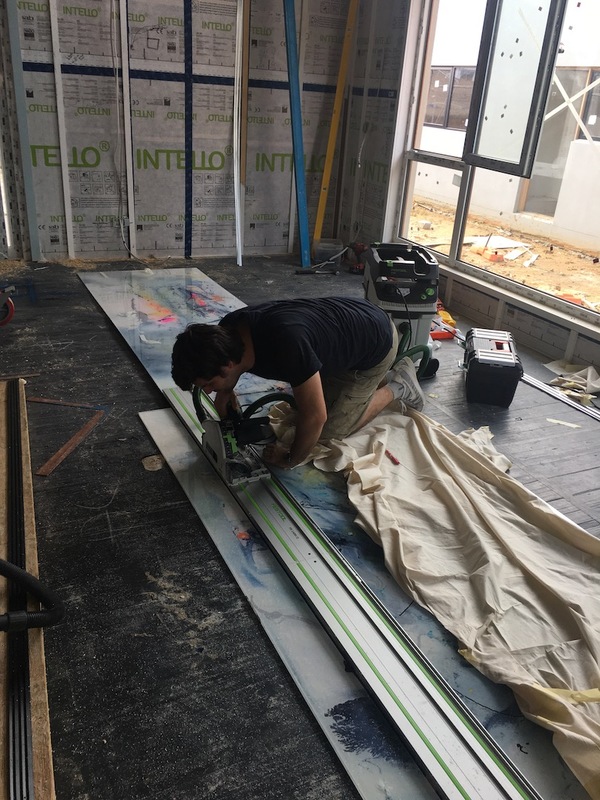 It is not news that Natura Homes main goal is to build high quality, sustainable and comfort homes, now we are working with local artist Tommy Balogh to add style and creativity into our houses. 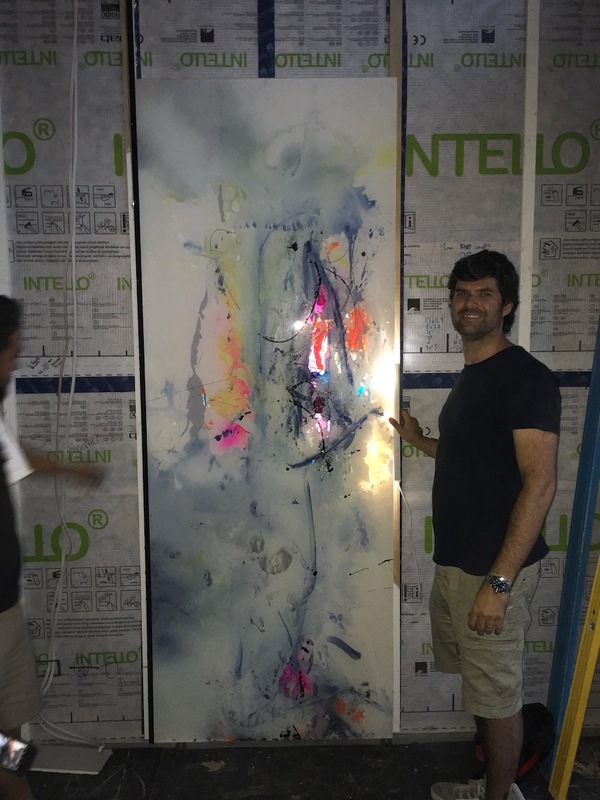 Tommy has painted a 4m high abstract piece specifically for our project in Throsby, this masterpiece will be flush with the walls and backlighted for further impact. We've started the installation and I will share more photos when other stages are completed.